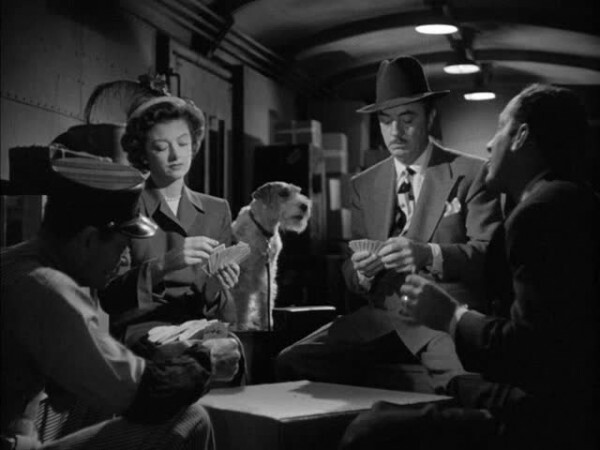 The Thin Man Goes Home doesn’t feature the regular creative crew of the series. Regular director W. S. Van Dyke, had committed suicide in 1943, suffering from illness and unwilling to go seek treatment due to his Christian Scientist beliefs. 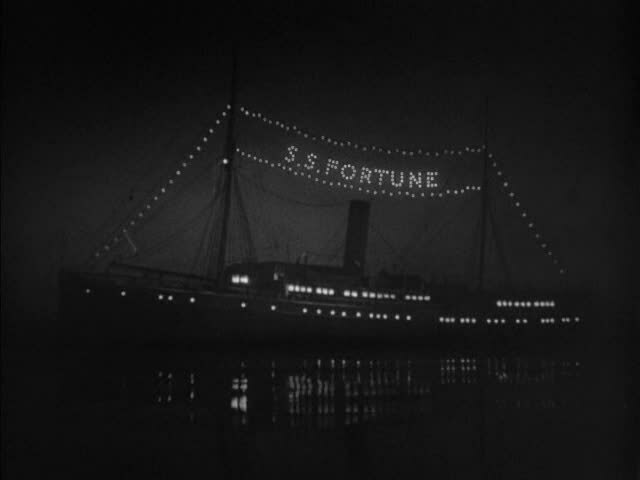 Regular script writing team Albert Hackett and Frances Goodrich also didn’t return, nor did series creator Dashiell Hammett, who had worked with the writing pair to help develop the prior entries. The new director was Richard Thorpe. 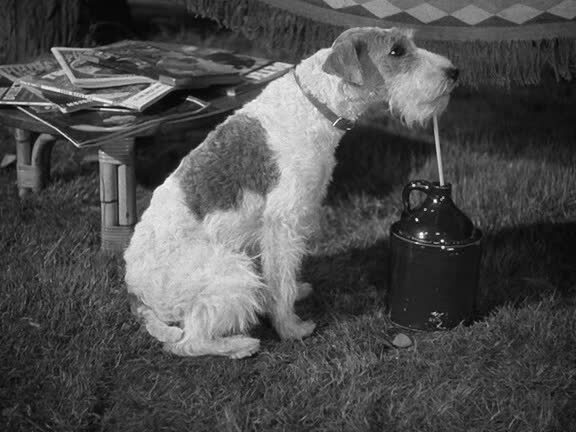 Thorpe was the original director of the 1939 The Wizard of Oz, though most of his work was discarded when he was fired after two weeks. He directed several Tarzan flicks and a bunch of adventure dramas, many featuring Robert Taylor. 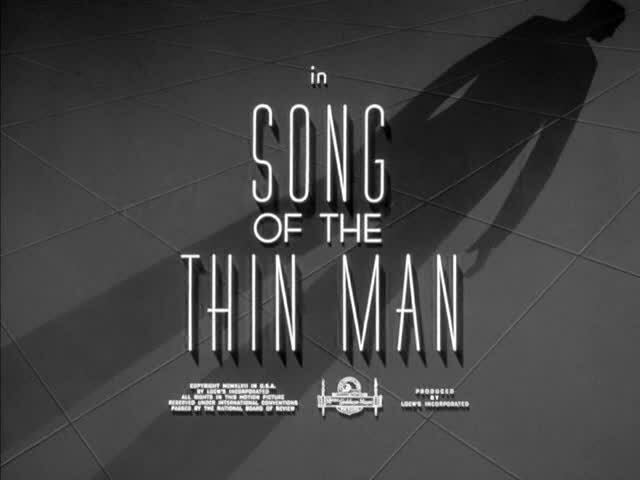 The story for The Thin Man Goes Home was conceived by Harry Kurnitz and Robert Riskin, Riskin going on to write the screenplay with Dwight Taylor. The lack of continuity is easily apparent with the many small changes in the film. Most importantly, this entry changes Nick’s family from Greek immigrants (Hammett had Nick’s father change their last name from Charalambides to Charles to fit on a photograph) to an upper class family headed by a respected community doctor. This switches Nick from an immigrant’s son who done good to a black sheep who left his family to find his own path. That craps on a lot of the class issues from the previous four films, and turns things into an attempt by Nick to finally impress his father. 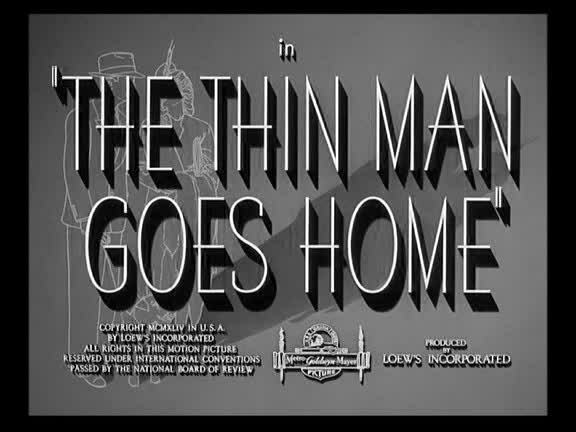 The Thin Man Goes Home was a 1945 pictures, released while the US was in the midst of the Second World War. 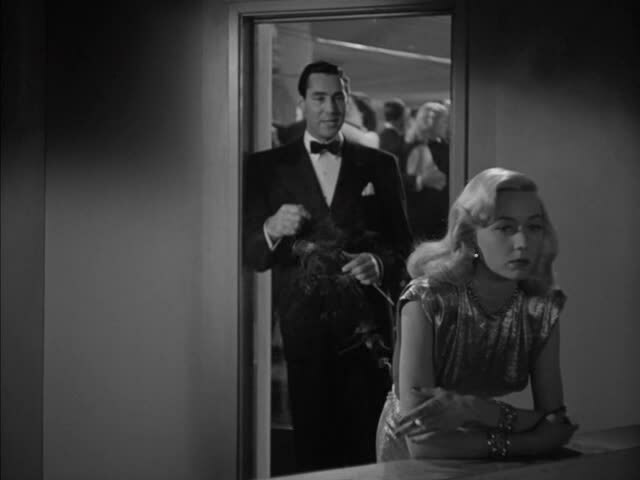 This is reflected in the film itself, and we see the Charles deal with wartime rationing. 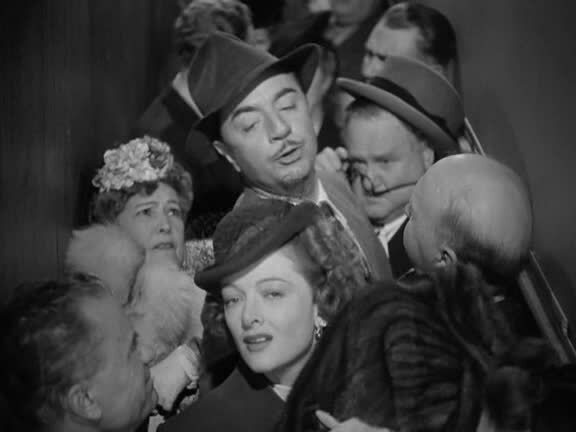 Their normally spacious private train cars are gone, replaced by packing in like sardines on the train, and even being forced into the baggage car because they bring Asta along with them. 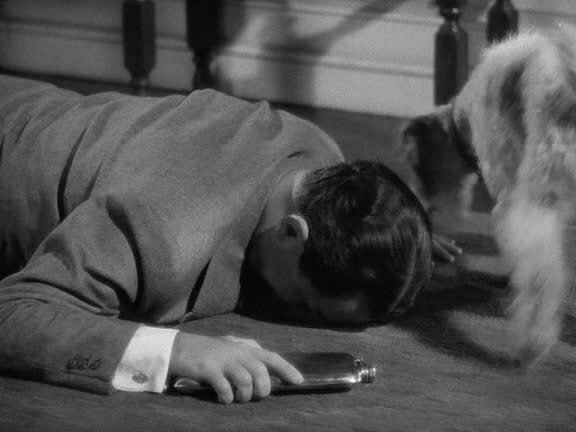 Nick Charles is forced to drop his usual 100 martinis a day habit due to alcohol rationing (explained in the film as abstaining from drinking because his father disapproves), and instead chugs cider. Many of the background actors are dressed as members of the armed forces. 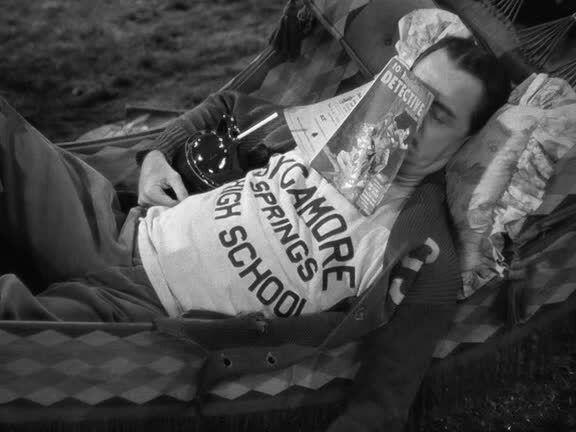 There is a nod to pulp detectives as Nick lounges in the hammock and reads a Nick Carter magazine. Nick Charles Jr. isn’t in this entry, as explained he’s away at school, and pulling him out of school so the senior Charles family could meet their only grandson for the first time is just wand-waved away. That’s the sort of thing that if I pulled it off with my mom, she’d have sent me immediately away on a train to go get my son. He does return in the final film, which is good because it would just be too weird otherwise. Nora Charles (Myrna Loy) – Nora spends part of the film trying to impress Nick’s dad with stories about Nick, and part of the film trying to help Nick only to get sent on a wild goose chase. Asta (Asta) – Asta returns but doesn’t cause a whole bunch of trouble, just a small amount of trouble. Mrs. Charles (Lucile Watson) – Nick’s mother, who doesn’t get much characterization and is actually proud of her son, because moms are like that, proud of their children. Brogan (Edward Brophy) – Yet another guy Nick Charles sent up the river and has returned as a reformed criminal, thankful to Nick for being so awesome and willing to help him out. Spends an inordinate amount of time hiding in the bushes outside Nick’s parents’ home. Sells greeting cards, and on Nick’s suggestion memorized many of their sayings, so he’ll randomly spout platitudes. 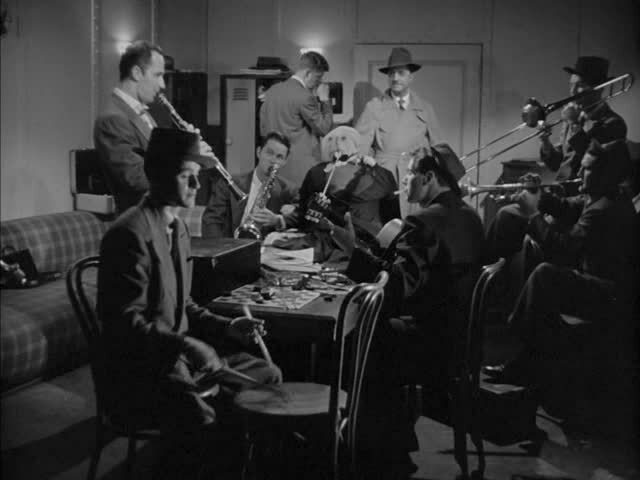 Edward Brophy had a role in The Thin Man as Joe Morelli. Dr. Bruce Clayworth (Lloyd Corrigan) – A childhood friend of Nick, who actually went into the medical field instead of quitting to become a detective.